Your first impression of Kim Tucker’s ceramic figures is one of whimsy. They come in the size of small children or as smaller miniatures participating in what appear to be regular people activities. They are innocent and dressed in coveralls or what may be cotton skirts or maybe a frock. In a flash of a millisecond, you’re moved to tears. They are human and fantasy. They are vulnerable. You notice their fragility as if co-opting on their clay make-up, a material that easily breaks when not handled delicately. You see their shapes are awkward, their expressions are often somber and some are adorned in strange bumps or smiley face blemishes. There’s a desire to protect them like your own children or a friend, while acknowledging their familiar sorrow within yourself. It cannot be ignored. Using a medium traditionally built for decorative arts of elaborate shapes and vases, Kim’s twist in creating her menagerie is even sweeter. You must experience her work for yourself. 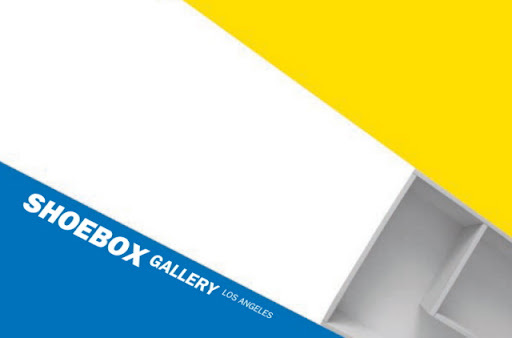 Kim recently exhibited a show with ShoeboxLA, a unique monthly pop-up gallery that creates installations in creative spaces. This event was a 3-hour show at All Star Lanes, a bowling alley in Eagle Rock. I missed it. I was crestfallen. The idea of her ceramic breakables in an All Star Lane gallery seems like the ideal setting for the emotional twist she infuses into her figures. The great news is ShoeboxLA will return this Sunday, October 30th from 2:00 – 4:00pm with a second show for Kim at Vlad the Retailer on Heliotrope in Los Angeles (a couple doors down from Scoops and Cafecito Organico Coffee near LA City College). This is a wonderful chance to enjoy Kim’s work for yourself and one of ShoeboxLA’s intelligent installations - and some yummy Scoops salted caramel ice cream, to boot! See you there.